Best corrected (with glasses) visual acuity guides the evaluation and management of almost every retina condition. Surgery is often performed or deferred based on vision. 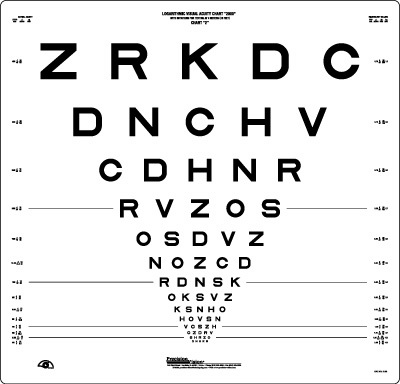 Visual acuity is the cornerstone of the ophthalmic examination. It measures central, or foveal, vision. As retina specialists, we do not refract and prescribe glasses. It is important that you bring your best glasses for distance and near to every office visit so we can accurately assess your visual acuity. Visual acuity is used to determine the need for treatment in many patients with retinal diseases. In patients with macular disease it is not uncommon for vision to fluctuate. A sustained decrease in visual acuity or a sudden severe change in visual acuity is cause for concern. 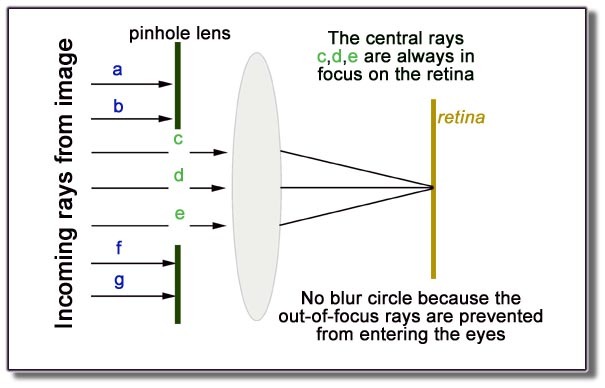 A pinhole occluder is an opaque disk with many small holes through it, used to test visual acuity. The occluder is a simple way to focus light, as in a pinhole camera, temporarily removing the effects of refractive errors. 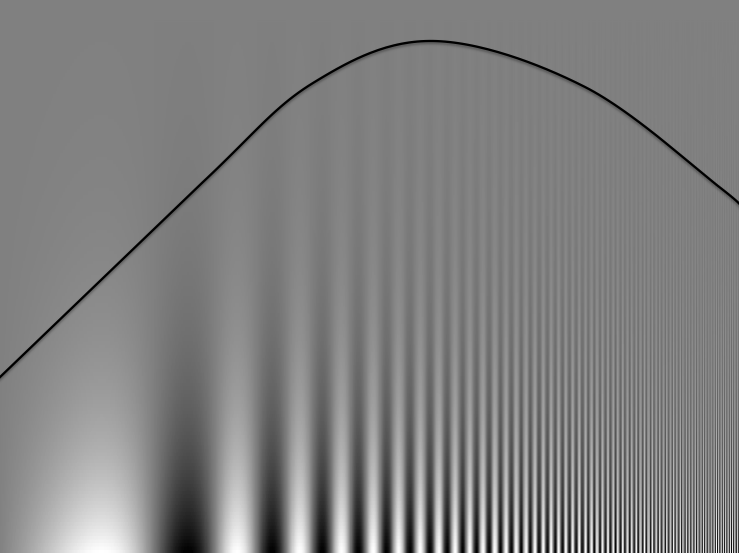 Since light passes only through the center of the eye's lens, defects in the shape of the lens (errors of refraction) have no effect while the occluder is used. In this way we can estimate the maximum improvement in a patient's vision that can be attained by lenses to correct errors of refraction. This can be used to distinguish visual defects caused by refractive error, which improve when the occluder is used, from other problems, which do not. The pinhole occluder can also be used in testing visual acuity in mydriatic patients. In this case the pinhole occluder compensates for the inability to contract the iris assisting the eye in obtaining a retinal projection similar to that of a non-cycloplegic eye. There are some patients with good visual acuity who still have a lot of difficulty with their visual function. One reason for this is a problem with contrast sensitivity. Contrast sensitivity is the visual ability to see objects that may not be outlined clearly or that do not stand out from their background. The ability to see a shade of gray on a white background or to see white on a light gray background declines with age. Cataracts, macular degeneration and diabetic retinopathy can affect contrast sensitivity. Experiencing tired eyes while watching television. Why is my vision worse at night? 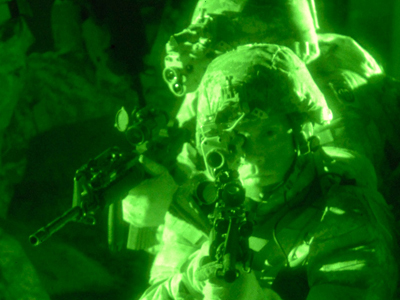 Millions of Americans have night vision problems. There are two main reasons for poor night vision. One has to do with pupil dilation. At night, your pupil is bigger. This makes you more sensitive to problems with incorrect prescription glasses and with cataract (see pinhole vision above). The second problem, which is common among retina patients, is macular disease. People with age-related macular degeneration and diabetic retinopathy will often have trouble seeing at night. The retina has receptors to sense light: rods and cones. The cones work in daylight and the rods in low lighting. The rods are more sensitive to macular disease in many patients and function poorly which manifest as night vision trouble. There are other rare causes of poor night vision like retinal dystrophies and vitamin A deficiency.